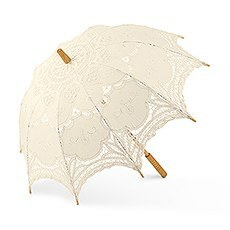 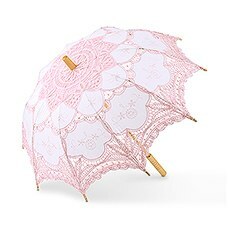 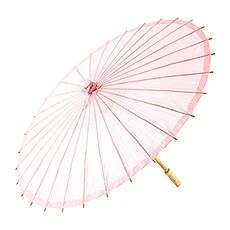 Create the look of vintage romance with the intricate beauty of lace parasols. 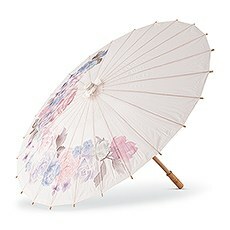 Shade the sun with these delicate paper parasols available in a rainbow of summertime colors. 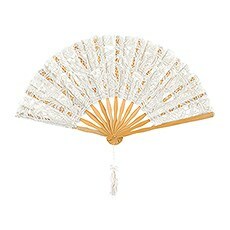 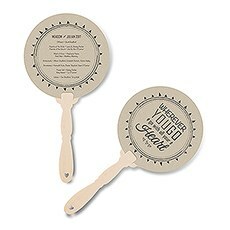 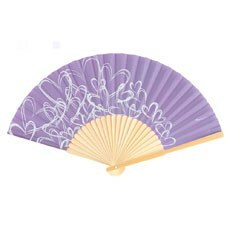 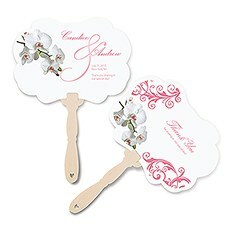 Keep cool with antique style lace hand fans and for a flirty prop to pose for pictures. 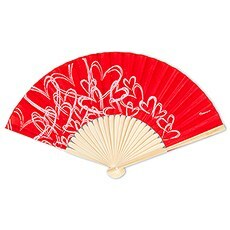 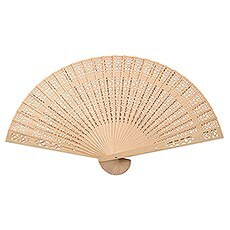 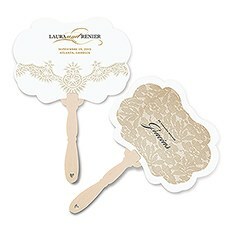 Delicate and beautiful, unique hand fans to help you keep your cool. 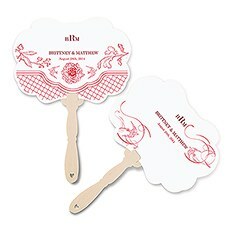 Sometimes things heat up, so cool down with a wide selection of personalized hand fans in a range of designs to suit your décor. 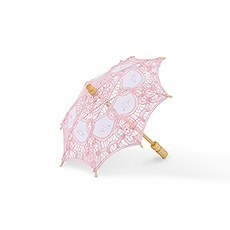 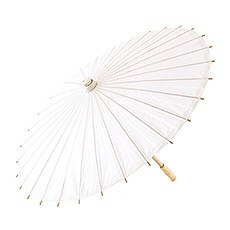 Great for rainy days or hot summer days, a classic white umbrella is always in style. 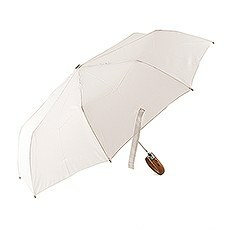 Be prepared for any weather with these sweet bridal accessories from Weddingstar. 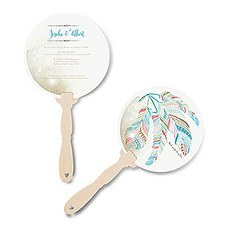 We've got decorative and functional parasols, hand fans and umbrellas that you can use for a wide range of wedding-related photos and events. 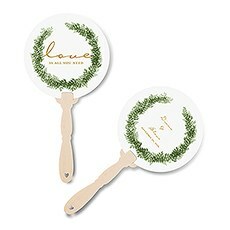 Whether you're looking for a vintage and romantic photoshoot prop or are in search of unconventional yet practical wedding favors, you'll find something to suit your needs in this assortment. 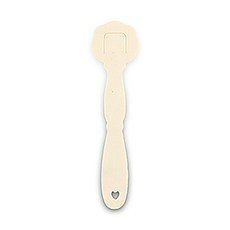 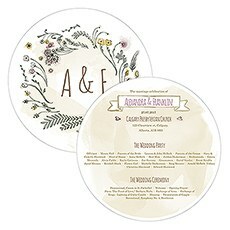 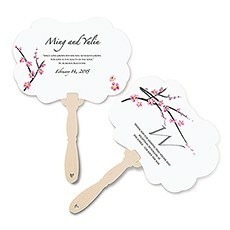 We're happy to provide wedding ceremony accessories for every color scheme and wedding motif at Weddingstar.com. Our high-quality yet cheap parasols make an excellent addition to any vintage wedding photoshoot or decor. 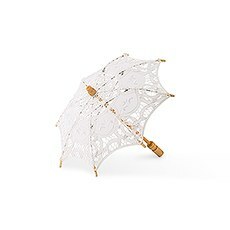 With decorative lace and fabric parasols in a wide range of antique colors, including ivory and white parasols, these parasols are sure to bring something sweet and special to your event. 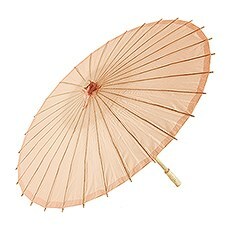 During summer weddings, bridesmaids can walk down the aisle donning lace parasols for an exciting finish, or you can implement them into your bridal party shoot as a stylish prop. 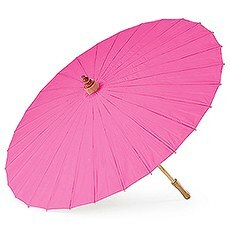 We've also got an assortment of brightly colored paper parasols in blue, red, white, green, silver, black, pink and many more shades. 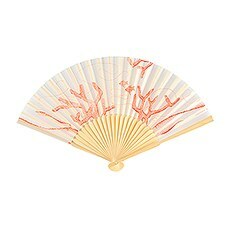 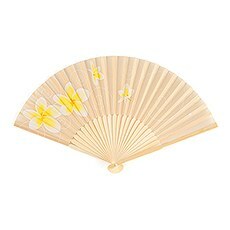 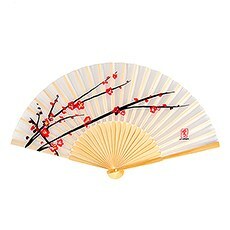 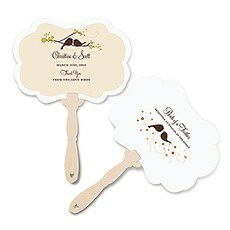 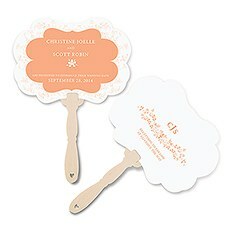 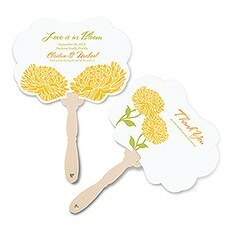 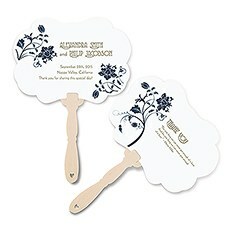 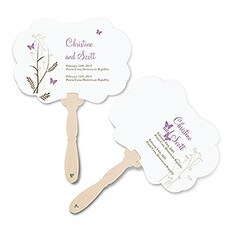 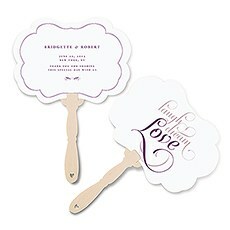 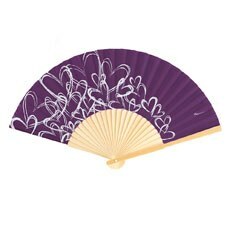 Our hand fans also make a great favor for summer weddings. 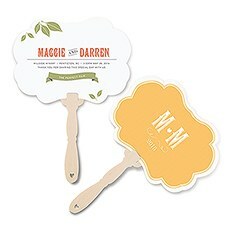 Choose from vintage-inspired Battenberg lace hand fans, silk hand fans or paper hand fans, to closely match your wedding colors and theme. 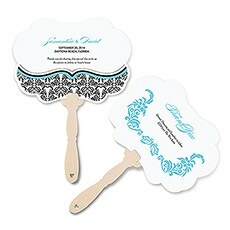 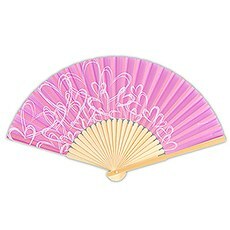 We're also happy to offer a huge variety of personalized paper hand fans that come in a wide range of trendy themes and colors. 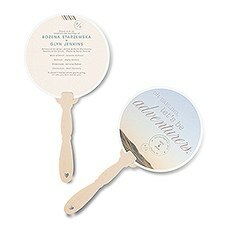 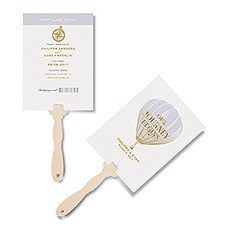 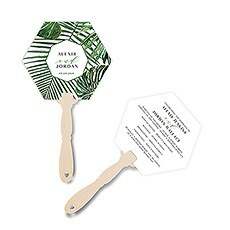 Many of these custom hand fans can double as your wedding program, so you can hand them out before the ceremony begins so that guests are cool, comfortable and in-the-know. 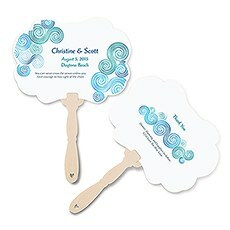 These fans can be printed with your name, date and a special message, so they're great for welcoming guests.